Singer/songwriter Elisa Brown is dedicated to helping the disenfranchised through the Arts. As Host of The Heart of Art with Elisa Brown on PBS, Elisa explores art’s amazing power to shape society via enlightening, intimate and entertaining live performances and conversations with world established artists from around the globe. 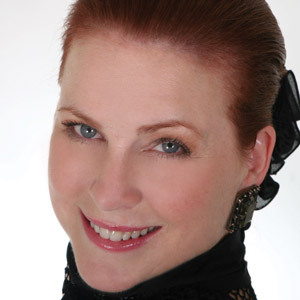 The Heart of Art with Elisa Brown is presented by Conscious Evolution Media Network (CEM). CEM is committed to presenting programs via Internet, Cable, and Public Television that will inspire a shift in global consciousness. Elisa received a Bachelor of Music Degree from The Cleveland Institute of Music and studied voice with internationally distinguished voice teachers Maria Farnworth, Josephine Mongiardo, Maria Powell and Siri Rico. Producer/author/musician Barry Goldstein’s musical experience spans many styles and genres, from co-producing the Grammy Award winning track “69 Freedom Special” with Les Paul for Best Rock Instrumental in 2005, to providing ambient music for Shirley Maclaine. Mr. Goldstein has opened and shared space with New York Times Best-Selling Authors Wayne Dyer, Gregg Braden, Dannion Brinkley, and James Van Praagh Carolyn Myss, and Bruce Lipton. He has hosted radio shows, written articles and facilitates workshops on utilizing music, sound and vibration in the healing process. Barry believes strongly in the healing aspects of music and is a translator of Sacred Sound and Inspirational Song. His healing with music series “Ambiology” is being used globally as well as individually in hospitals, hospices, wellness centers, and individual practices. In addition, he has worked with The Monroe Institute and has facilitated at medical conferences on the healing aspects of music. The son of noted gifted composer, arranger, producer Sammy “Forever” Fields, Dave Fields grew up in his father’s recording studio being exposed to the likes of Sammy Kahn, Rupert Holmes and Stevie Wonder. Dave gift of making his guitar talk, combined with his uncanny way of weaving many different styles of music together, exemplifies how we as humans are a fabric of many different cultures and walks of life. 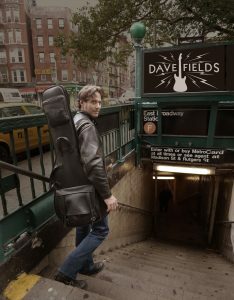 After attending Berklee College of Music, Dave was immersed in the NYC music scene as a first call guitarist and multi- instrumentalist. Dave, “ My Father made sure that I could play a lot of different instruments and styles so I could make a living. Unlike many blues musicians, I was raised to be a musical “hit man”. 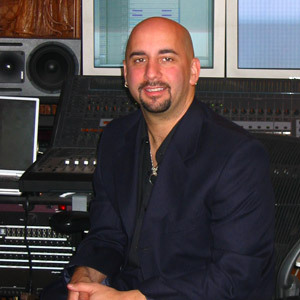 I got to do sessions with many famous musicians and producers such as Tommy James and Ahmed Ertegen (to name a few), and even was on staff of one of the top five jingle companies in New York, LOOK MUSIC”. Dave has performed with the likes of Hubert Sumlin and U2, opened for Blues Traveler, and won Best Self Produced CD 2006 at the IBC for producing BACK IN BLUESVILLE. His CD’s TIME’S A WASTIN’, ALL WOUND UP and DETONATION have been international successes. His awards include Big City Blues Magazines “All You Need Is Love” HAPPY TO HAVE THE BLUES Lifetime Achievement award, the 2006 IBC Best Self Produced CD (Roxy Perry BACK IN BLUESVILLE), and The Legendary Blues Cruise Mojo Boogie Award 2009-2010. On May 20, 2012, Dave was inducted into New York Blues Hall Of Fame along with John Hammond and Gary US Bonds. You can hear Dave’s song, “Train To My Heart”, on legendary bluesman John Mayall’s most recent CD, TOUGH.